The religious views of Charles Darwin, the venerable Victorian naturalist and author of the Origin of Species (1859) never cease to interest modern readers. 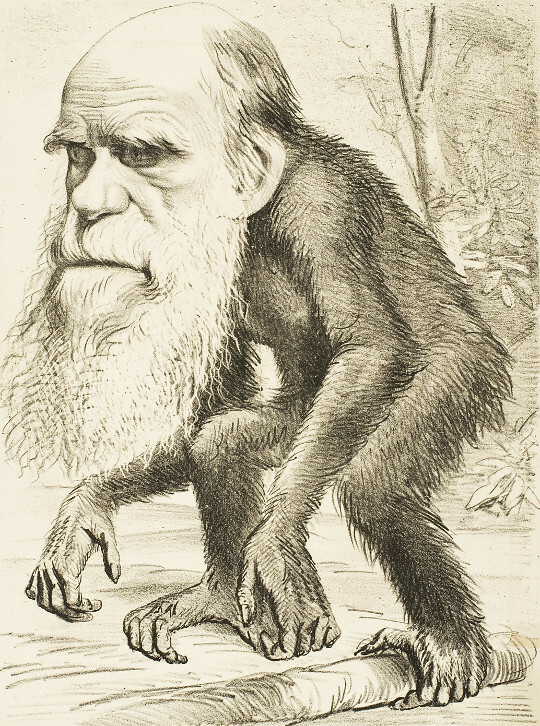 Bookshops and the internet are well-stocked with discussions of Darwin’s views and the implications of his theory of evolution for religion. Many religious writers today accuse Darwin of atheism. 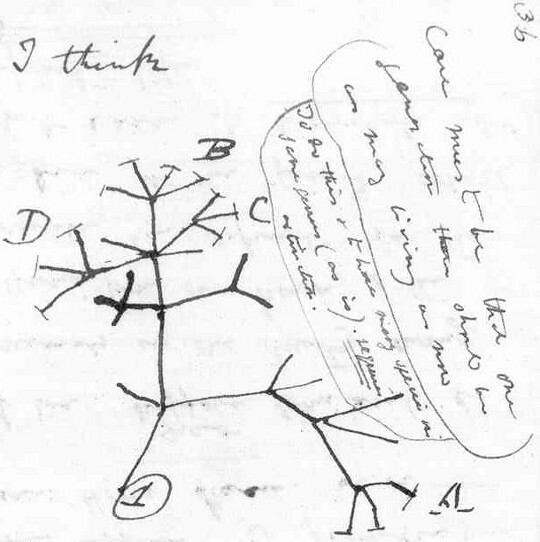 Some popular proponents of atheism also enlist Darwin to their cause. Even while Darwin was still alive there were widely varying descriptions of his religious opinions – which he kept mostly private. In 1880 the Austrian writer Ernst von Hesse-Wartegg visited Darwin at his home, Down House, in Kent. The coachman who drove Hesse-Wartegg from the train station at Orpington opined of the famous Mr. Darwin: “Ha es en enfidel, Sar- yes, an enfidel — an unbeliever! and the people say he never went to church!”. The passage quoted here was actually marked in Darwin’s copy of this German newspaper (the Frankfurter Zeitung und Handelsblatt) – no doubt it amused Darwin as much as the German attempt to capture the Kentish accent through phonetic spelling. 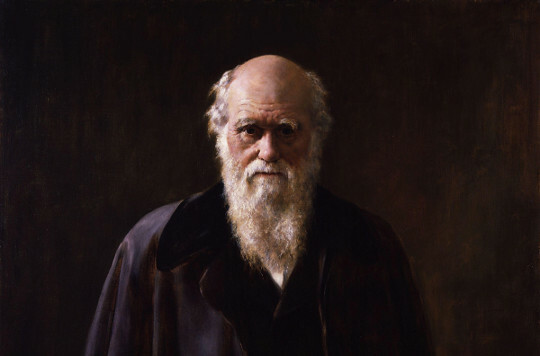 The term does not appear in Darwin’s published writings again until the first edition of Origin of Species (1859) and the many different editions and rewordings that followed until 1872. Some authors have declared that natural selection explains nothing, unless the precise cause of each slight individual difference be made clear. Now, if it were explained to a savage utterly ignorant of the art of building, how the edifice had been raised stone upon stone, and why wedge-formed fragments were used for the arches, flat stones for the roof, &c.; and if the use of each part and of the whole building were pointed out, it would be unreasonable if he declared that nothing had been made clear to him, because the precise cause of the shape of each fragment could not be given. But this is a nearly parallel case with the objection that selection explains nothing, because we know not the cause of each individual difference in the structure of each being. The shape of the fragments of stone at the base of our precipice may be called accidental, but this is not strictly correct; for the shape of each depends on a long sequence of events, all obeying natural laws; on the nature of the rock, on the lines of deposition or cleavage, on the form of the mountain which depends on its upheaval and subsequent denudation, and lastly on the storm or earthquake which threw down the fragments. But in regard to the use to which the fragments may be put, their shape may be strictly said to be accidental. And here we are led to face a great difficulty, in alluding to which I am aware that I am travelling beyond my proper province. An omniscient Creator must have foreseen every consequence which results from the laws imposed by Him. But can it be reasonably maintained that the Creator intentionally ordered, if we use the words in any ordinary sense, that certain fragments of rock should assume certain shapes so that the builder might erect his edifice? If the various laws which have determined the shape of each fragment were not predetermined for the builder’s sake, can it with any greater probability be maintained that He specially ordained for the sake of the breeder each of the innumerable variations in our domestic animals and plants;— many of these variations being of no service to man, and not beneficial, far more often injurious, to the creatures themselves? Did He ordain that the crop and tail-feathers of the pigeon should vary in order that the fancier might make his grotesque pouter and fantail breeds? Did He cause the frame and mental qualities of the dog to vary in order that a breed might be formed of indomitable ferocity, with jaws fitted to pin down the bull for man’s brutal sport? 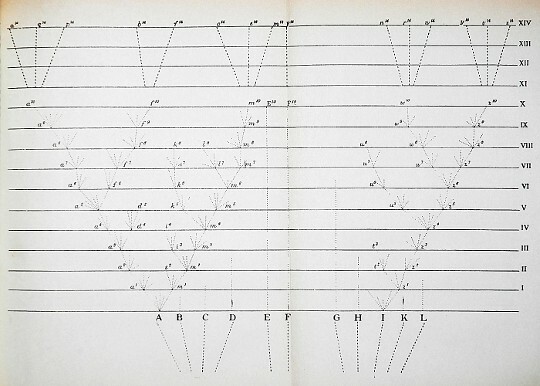 But if we give up the principle in one case,—if we do not admit that the variations of the primeval dog were intentionally guided in order that the greyhound, for instance, that perfect image of symmetry and vigour, might be formed,—no shadow of reason can be assigned for the belief that variations, alike in nature and the result of the same general laws, which have been the groundwork through natural selection of the formation of the most perfectly adapted animals in the world, man included, were intentionally and specially guided. However much we may wish it, we can hardly follow Professor Asa Gray in his belief “that variation has been led along certain beneficial lines,” like a stream “along definite and useful lines of irrigation.” If we assume that each particular variation was from the beginning of all time preordained, the plasticity of organisation, which leads to many injurious deviations of structure, as well as that redundant power of reproduction which inevitably leads to a struggle for existence, and, as a consequence, to the natural selection or survival of the fittest, must appear to us superfluous laws of nature. On the other hand, an omnipotent and omniscient Creator ordains everything and foresees everything. Thus we are brought face to face with a difficulty as insoluble as is that of free will and predestination. … the extreme difficulty or rather impossibility of conceiving this immense and wonderful universe, including man with his capacity of looking far backwards and far into futurity, as the result of blind chance or necessity. When thus reflecting I feel compelled to look to a First Cause having an intelligent mind in some degree analogous to that of man; and I deserve to be called a Theist. This conclusion was strong in my mind about the time, as far as I can remember, when I wrote the Origin of Species; and it is since that time that it has very gradually with many fluctuations become weaker.